Travel Story: The Trans-Siberian Express: Back aboard "the world’s greatest rail journey"
On his 27th trip aboard the mammoth train journey across Russia , our seasoned rail traveller finds that though things have changed over the years, the Trans Siberian remains one of the greats. 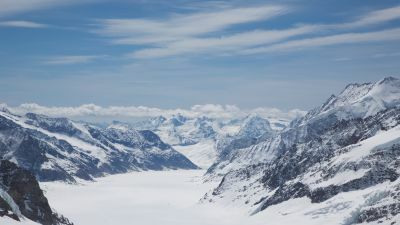 Switzerland's Jungfraujoch is not just a platform perched precariously between the mountains of Monch and Jungfrau, but a complete destination for a very big day out. Snow as white as cake icing, deep blue sky and pristine alpine wilderness make the train ride to Jungfraujoch a stunning day out. Travel the length and breadth of South Korea over a week for $218.